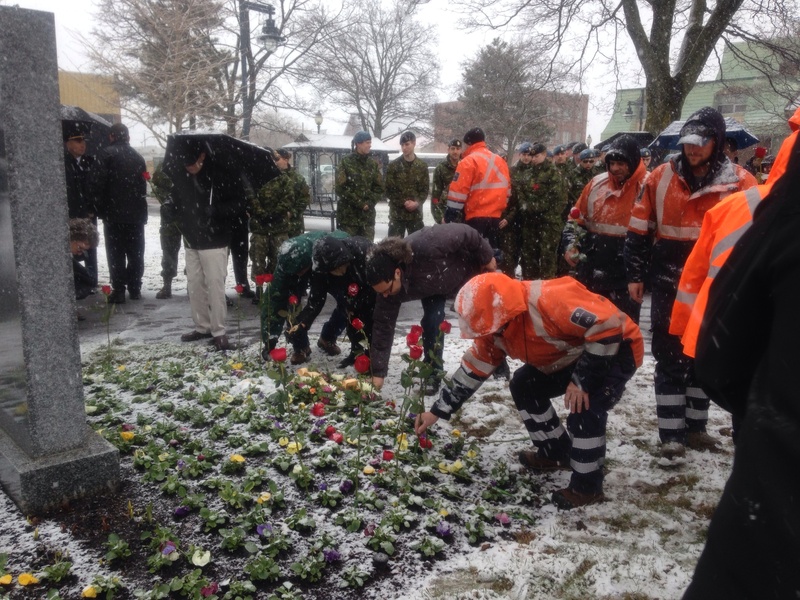 A fall storm brought heavy rain to Southern New Brunswick but rain changed to snow in northern New Brunswick today giving the region its first taste of winter this season. RCMP were asking drivers to slow down and pay attention to the conditions as snow accumulated on highways. 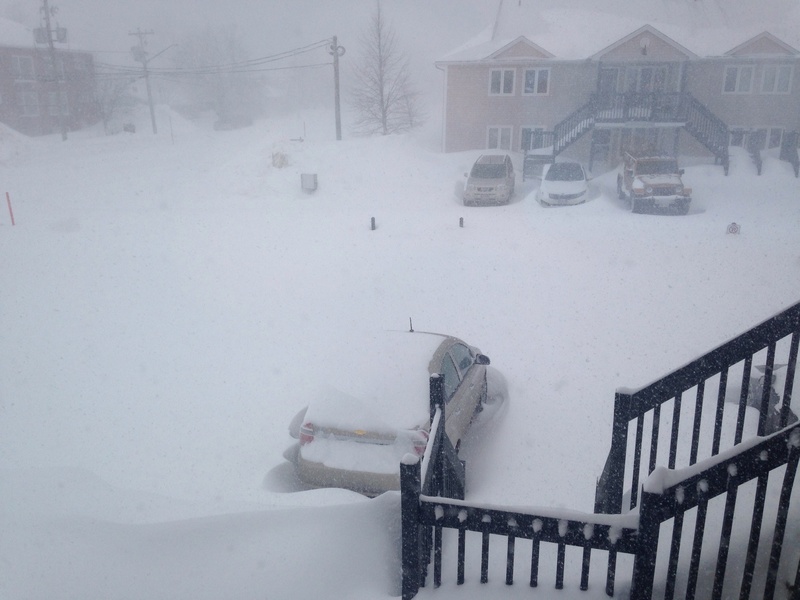 Up to 10 cm of snow fell in some parts of the north with Bathurst reporting about 4 cm. In Greater Moncton, the temperature climbed to 8 C in the morning and fell to 3 C by mid-afternoon when snow mixed in with rain. About 1,600 buildings have burned to the ground in Fort McMurray as a wildfire engulfed the southwest portion of the city late yesterday. Alberta has declared a state of emergency as the government confirms many homes in the Beacon Hill and Waterways neighbourhoods have been destroyed. The wildfire cut the city in two forcing 10,000 people to evacuate north to oil sands camps and at least 80,000 had to head south. Traffic became gridlocked on Highway 63 as dozens of drivers abandoned their vehicles after breaking down or running out of gas. Heading further south to Edmonton, drivers faced a slow, tense trip with bumper-to-bumper traffic and long lineups at the few gas stations available. The military has been called in to help firefighters and hundreds of additional RCMP officers are being deployed to the region. The most powerful winter storm of the season to date dropped almost 40 cm of snow in the Fredericton area and brought strong winds gusting up to 70 km/h in eastern New Brunswick. Highway travel was considered hazardous throughout the province and RCMP urged drivers to stay home if possible. 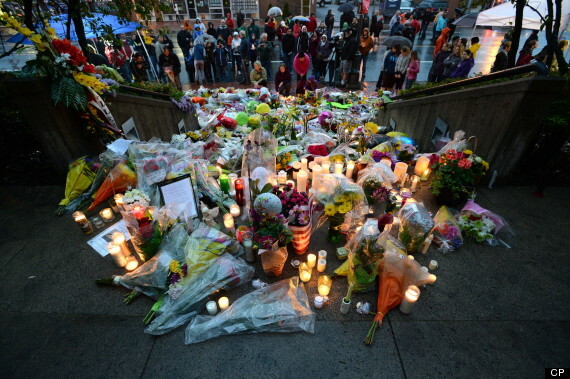 Schools shut down and many businesses either closed for the day or opened in late afternoon. 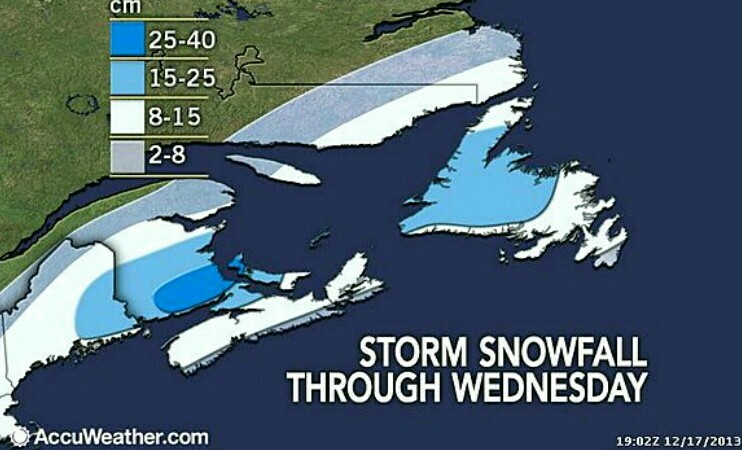 Greater Moncton reported almost 30 cm of snow and winds gusting up to 60 km/h. 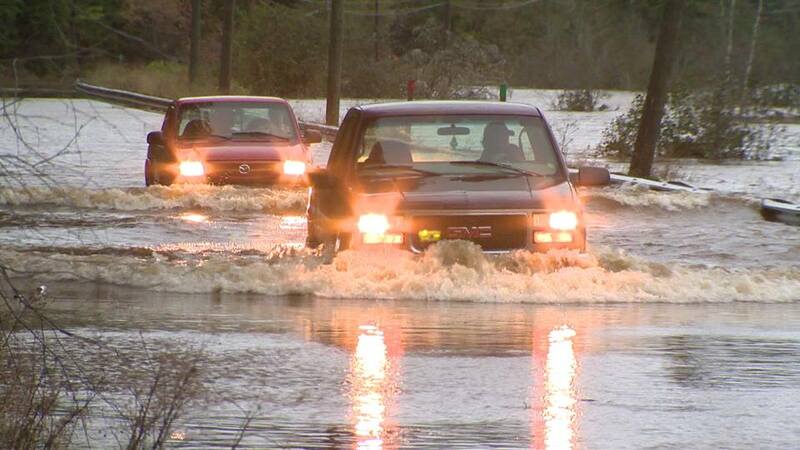 Heavy rain wreaks havoc in N.B. A moisture-laden storm soaked New Brunswick in a swath from the southwest to the northeast with more than 200 mm of rain in some communities. 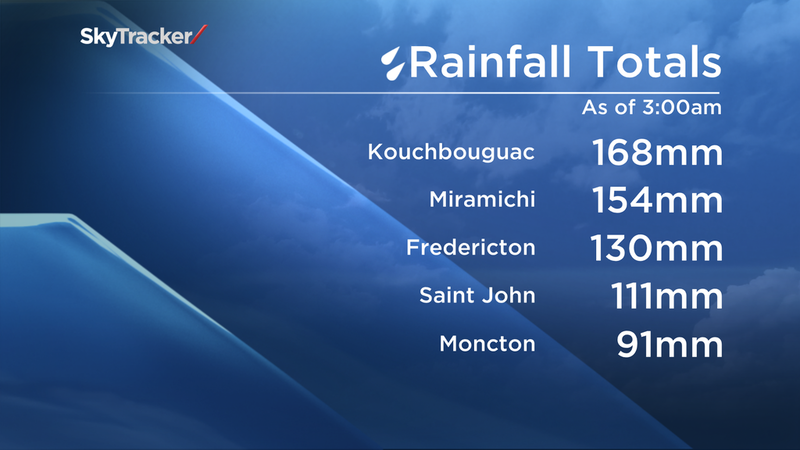 Environment Canada says Greater Moncton got off relatively easy at just over 100 mm of precipitation in only 24 hours. The hardest hit region for flash flooding and road washouts appeared to be a triangle roughly between Fredericton and Saint John and Sussex. RCMP say one man died in the Sussex area in an accident while trying to protect his home, a group of six duck hunters needed help after their boat sank in Grand Lake and numerous vehicle collisions were reported due to hydroplaning and road washouts. A stubborn low pressure system in the Atlantic Ocean off the Maritimes is responsible for the recent rainy – and today snowy! – conditions. 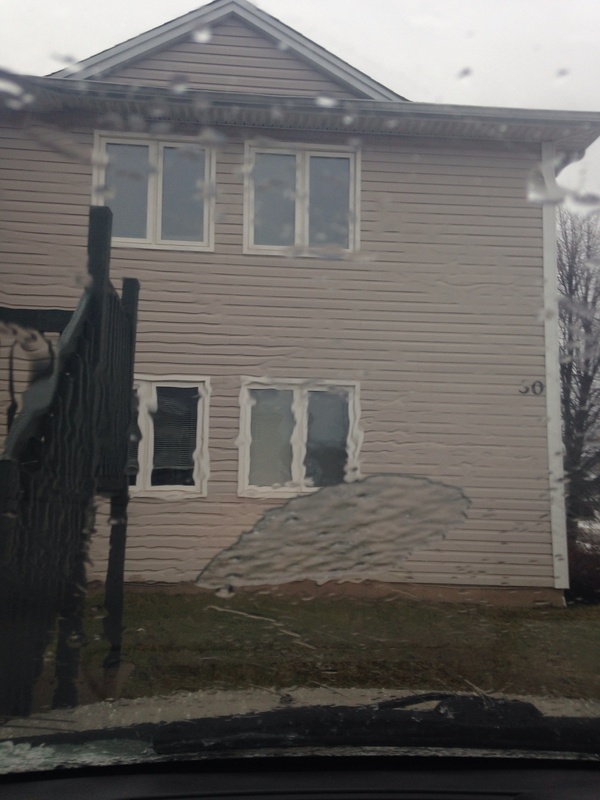 By early this afternoon, rain turned to wet, heavy snow in Greater Moncton which quickly turned to slush on roadways. RCMP say slushy road conditions were likely behind a fatal collision between a car and a snow plow in Stoney Creek. Based on an estimate and data from Environment Canada, Greater Moncton has now surpassed 500 cm for 2014-15 which is still a distance from the 1974-75 record of 531 cm.